Someone recently asked me what my favourite beach in the world is. The whole world! I was completely stumped. How can you even begin to narrow it down? It’s a little like asking what your favourite food is. Something pops into your mind, then you remember something else. So instead of my favourite ever, here are a few I love for different reasons. 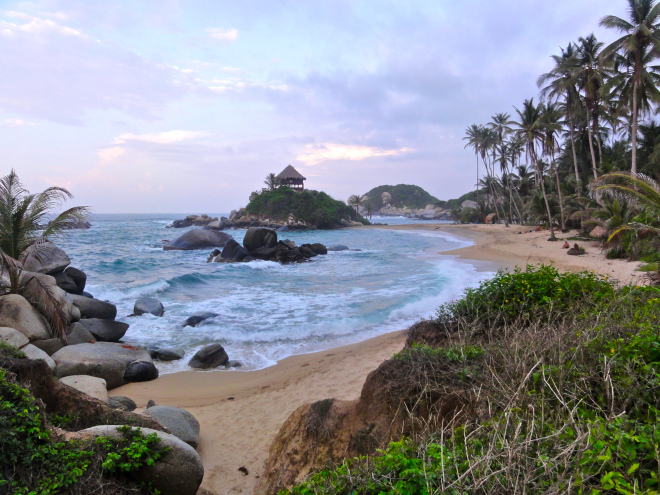 MOST REWARDING TO REACH: Tayrona National Park, Colombia. It takes a local bus, taxi and hike through dense, hilly forest to reach the more far-flung beaches in Tayrona National Park at Colombia’s Northern tip. The peaceful(not many make it) golden sand and sleeping in a hammock above the lapping waves, make it worth the effort. Spending a few days here is the perfect escape from modern life.